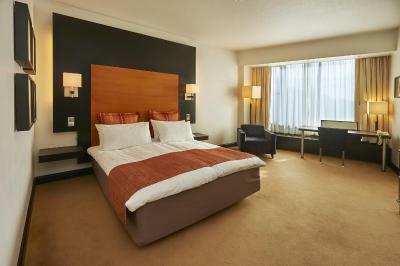 Lock in a great price for Crowne Plaza Helsinki - Hesperia – rated 8.4 by recent guests! Central location makes it easy to move from and to the hotel. Mass transit options right in front of the hotel include buses and tram lines. Good overall stay. One night in Helsinki. We arrived late in the night and still received warm welcome from the hotel. Good breakfast and we like smoked salmon most. The Front Office staff are very helpful and friendly. We stayed for 1 night only and will definitely book again when we come back to Helsinki. The hotel is not in the center but walking distance or a tram ride away from the cith center. The bed it self was perfect, soft, high pillows and very nice blankets. Staffs are good and toilet is well equipped. Good location. It's the best place for quiet relax. The best bed and comfort linen provide good sleeping. Sauna with pool and fitness are energizing you in the morning. The location is great and the hotel was just what I expected based on my multiple stays at Crowne Plaza in the US. Crowne Plaza Helsinki - Hesperia This rating is a reflection of how the property compares to the industry standard when it comes to price, facilities and services available. It's based on a self-evaluation by the property. Use this rating to help choose your stay! One of our top picks in Helsinki.Located opposite of the Finnish National Opera, Crowne Plaza Helsinki - Hesperia offers contemporary furnished rooms with free WiFi access. Leisure options include an indoor swimming pool and a health club. Each room at the Crowne Plaza Helsinki - Hesperia has a dedicated work area and a flatscreen TV with international channels. Tea and coffee facilities and a mini-bar are provided for guests’ convenience. Breakfast and Mediterranean cuisine are served at the elegant à la carte Restaurant Macu. Drinks and snacks are available at Bar Code in the lobby. Guests can relax at the Forever Health Club & Astara Day Spa, which includes a sauna, swimming pools and a gym. 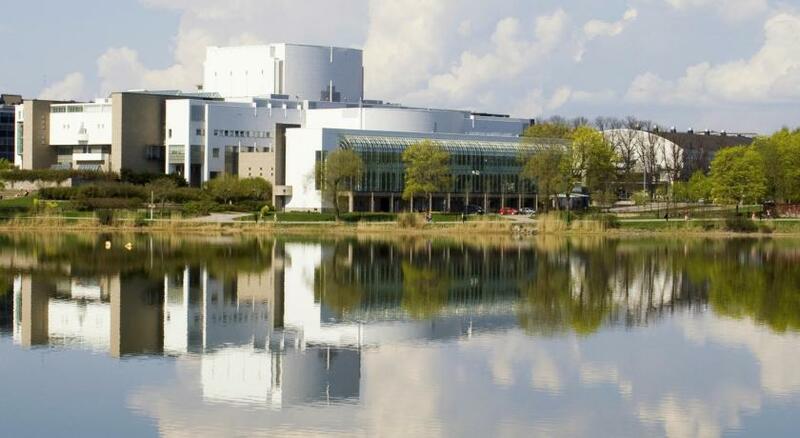 The Finlandia Concert Hall is located 2,300 feet from the hotel. Ooppera Tram Stop is located a 2-minute walk from the hotel, and provides easy access around Helsinki. The Helsinki Airport Shuttle Bus stops in front of the hotel. Taka-Töölö is a great choice for travelers interested in parks, convenient public transportation and culture. 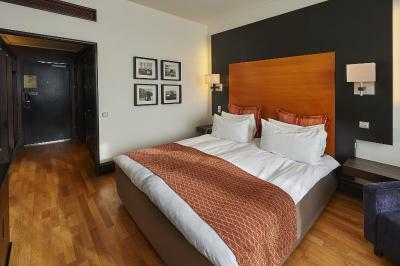 When would you like to stay at Crowne Plaza Helsinki - Hesperia? These 9th-floor rooms offer city views, free Club Lounge access, evening drinks and snacks. Pets cannot be accommodated in these rooms. Private parking is available on site (reservation is not possible) and costs EUR 26 per day. These bright, spacious suites offer free Club Lounge access, evening drinks and snacks. Includes a pillow menu and aromatherapy spray. This double room features a bathrobe, electric kettle and air conditioning. This single room has a mini-bar, electric kettle and air conditioning. This double room features a electric kettle, satellite TV and mini-bar. This suite has a seating area, executive lounge access and dining area. The Crowne Plaza Helsinki is a top-class hotel that offer the attentive quality service of an upscale hotel chain with a global reputation. The good location virtually opposite the Finnish National Opera - easy access to City Centre and Helsinki Airport. Hotel surroundings – This neighborhood is a great choice for travelers interested in parks, convenient public transportation and culture – Check location Great location - show map Guests loved walking around the neighborhood! House Rules Crowne Plaza Helsinki - Hesperia takes special requests – add in the next step! Crowne Plaza Helsinki - Hesperia accepts these cards and reserves the right to temporarily hold an amount prior to arrival. Excellent breakfast and the hotel is a 15 minute walk from the city centre. AND the Finnair Airport/City bus stops right outside. Location with easy access to public transportation. The parking garage is old and tight. So far there's always been enough space, but you need to walk from the lower levels by the ramp and all the way to the garage main door and outside to get to the hotel. No elevators or other helping mechanisms. This might get annoying if you have lots of bags and are alone and don't leave them to e.g. reception prior to driving down. The bath tub is not draining water quick enough. And the decoration is a bit old. The location is good, but just need 5-10mins walk if you are taking the Finnair Bus from airport. We requested a late checkout, and the staff just accommodated our needs straight away! There is a electric kettle in the room! Yay! This hotel breakfast was really nice. Once a maid forgot to give us face towels. We had spacious room with comfortable bed. Every day we were supplied with a bottle of water and small chocolates. Location is quite far from all the sights, but it was near the train station. Our room was very spacious and beds were comfortable. Staff was friendly and helpful. Breakfast was delicious. There was also a very nice restaurant inside the hotel. Building is a little old. Front area carpet was a bit dirty because guests come in the hotel after walk through melted dirty snow. Breakfast was really good. Room is clean and great value! 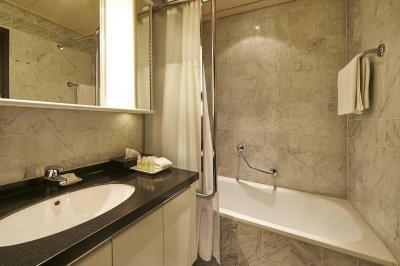 The property was clean and tidy, it was spacious with lots of facilities. The rooms and bathrooms were a good size. The reception manager was very helpful and sorted a problem we had quickly and efficiently.